A couple of people have mentioned to me now that they haven’t seen me online for a while, and they were wondering what was happening with Beth. I have to say, almost nothing was happening, except that she was getting a tiny bit better each day – imperceptibly, almost – and it almost seemed like there was no news to report each day. I guess healing is like that: nothing seems to be happening, and then one day you feel just a little bit better. Things are improving with her, on most fronts, though slowly. Her BK virus (urinary tract infection) has finally settled down. For this one, there was no drug treatment, but it simply needed to be flushed out. Apparently it was, though it took three weeks-worth of major urinary-tract discomfort. The numbers on her CMV virus seem to be way down, too. (She had been receiving Ganciclovir for this. It was a real danger, and the numbers came in slowly, but they came down). The clot in her arm is still there, but it will likely take two or three months to go away. She is getting a drug treatment to make sure another one doesn’t form. (This is a tricky proposition, because her platelets are low as it is, and the drug that prevents clots is a blood thinner. So she has received some platelets, in addition to the drug treatment). However, the swelling is noticeably down in her arm and her legs, though it is still troublesome. On top of all these things, the doctors have started her on a physical therapy (PT) regimen, which has her walking, exercising, and gently massaging her arm to try and further relieve the swelling. The walking, they are sure, will help the fluids in her legs to be further reduced. She still isn’t eating right (a factor which contributed to the swelling), but there is another story behind that. The chemotherapy did a number on her taste buds. So food always still tastes bad. 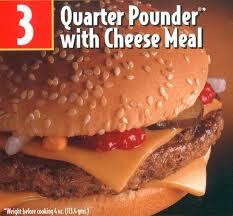 In an attempt to try to get her to eat some protein, I bought her a Quarter Pounder with Cheese. She said she was genuinely hungry for this. So I brought her one, and she ate a few bites. She couldn’t eat more than that, so I ate the rest. After I left the hospital that night, she threw up and started having bad cramps. So now they are checking to see that the GVHD hasn’t moved into her gastrointestinal (GI) tract. (GVHD affects you in three specific areas: skin, GI tract, and liver). My thought is that it was just the Quarter Pounder after her not having eaten anything solid for a while. But they want to be sure. Yesterday I made chicken soup (Dad’s famous chicken soup – one of the few things I make that everyone in the house loves). I took a thermos-full of hot fresh soup down to Beth in the hospital, and she absolutely loved it. So I froze a bunch of it in small containers, and I’ll take more down to her later today. I’ve continued to make almost daily trips to the hospital through these last three weeks while she’s been in, though I haven’t taken time off work as I did for the transplant. This seemed less serious, although, at times, it wasn’t. The viral infections could have been life-threatening complications. Things are busy at work. And to spin the old saying, “when your wife is on her deathbed, nobody wishes they’d spent more time at the office”. But as bad as she felt, she wasn’t on her deathbed; and we still have to pay the bills. We’re continuing to get a tremendous amount of help from our church (which we don’t want to have to rely on), and some financial donations are coming in. But life will go on, and do not want to continue to be dependent on that kind of help. We need also to focus on being financially responsible in the months and years ahead (whatever happens). So in addition to working, and even working at home (I’m working with a “cloud-based” “marketing automation” program called Eloqua; it’s got quite a lot of capabilities, and in part I’m learning them, in part I’m using them, and in part I’m playing administrator), I’ve been doing quite a bit of running between places. In addition to that, though, I’ve spent a lot of time in the last month collecting information and submitting it to both Social Security and the VA – Beth will qualify for Social Security disability (I believe); we are less hopeful that the military will consider her illness to be “service related” (although I suppose it is possible, and we intend to keep pressing this issue). It’s Saturday; since Beth is not tied to the toilet, I can take the kids down to the hospital, and we can all sit and visit in the waiting area, without having to worry about sneaking Dani in. Hopefully, we’ll be there with soup.